Each and every month the Aria Poker Room in Las Vegas plays host to a weekend of high stakes tournaments. This October saw the usual menu of two $25,000 buy-in events juiced up to a three-event schedule that also included a $50,000 super high roller tournament. As a result of the bonus event the events drew larger fields than usual. The first tournament of the weekend, the Aria High Roller 42 $25,000 no-limit hold’em event, drew 47 total entries to build a final prize pool of $1,128,000. In the end Jake Schindler emerged victorious, defeating Poker Hall of Famer Erik Seidel heads-up to capture the title and the top prize of $306,687. This was his third title and tenth final table finish of 2016. The 420 Card Player Player of the Year points he earned in this event were enough to see him move into 19th place in the POY standings. The Aria High Roller 43 $25,000 no-limit hold’em tournament that ran the following day drew 39 entries to create a prize pool of $936,000. In the end the lion’s share of that money went to Brian Rast, who defeated Cary Katz heads-up to capture the trophy and the $393,120 top prize. 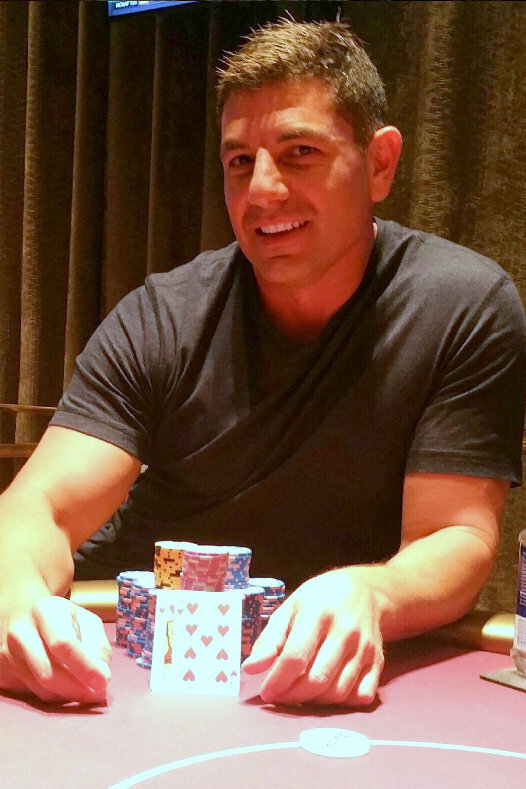 Katz scored $224,640 as the runner-up. He had also finished fourth the previous day for another $90,240. Katz has made 15 POY-qualified final tables so far in 2016, with nearly all of his scores coming in Aria and Bellagio high rollers. All told he has cashed for $2,328,953 so far this year and accumulated 3,930 POY points. As a result he now sits in eighth place in the POY rankings. The final event of the weekend was the $50,000 buy-in Aria Super High Roller 11. The tournament drew 25 entries to build a $1,296,000 prize pool. Brandon Steven came out on top to secure the title and the $648,000 first-place prize. This was his largest career cash, just edging out the $635,011 he earned as the 10th-place finisher in the 2010 World Series of Poker main event. He also cashed in the first event of the weekend, finishing sixth for $56,400. Sam Soverel finished fourth in this event for $103,680. He also finished sixth in the prior day’s event.